When I think of social networks the first things which come to mind are Facebook, Twitter and Google Plus but believe it or not, Pinterest is becoming the new heavy weight of social media. I’ve found myself using Pinterest more and more these days, and the more I use the service I seem to be in awe with it. As I’m based in mainland China, using social networking sites can be a challenge but Pinterest is one of the only few which isn’t blocked by the Great Wall. 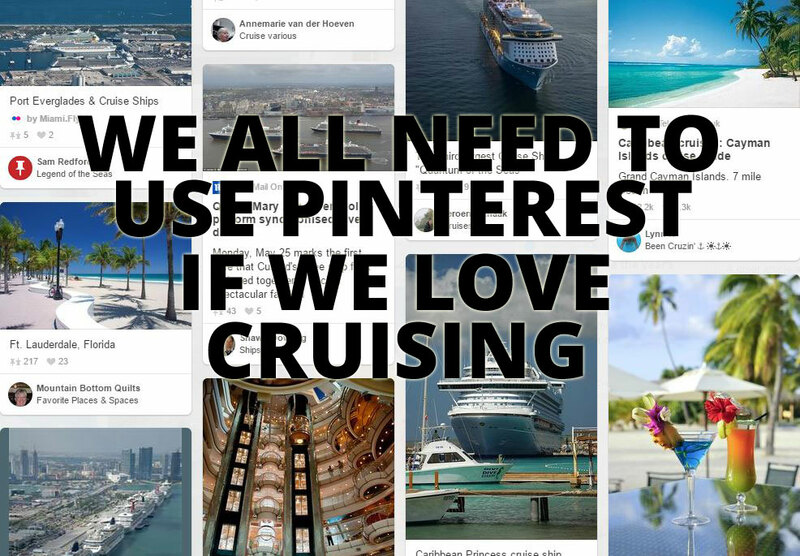 So why is Pinterest good if we love to cruise? The site offers just about everything and if you’re taking a cruise in Asia you can still post and share. It’s a site that can bring nice colorful images to your device in several different ways and aspects. Let’s take a look below. I’m pretty sure you’ve come across an infographic at some point. Pinterest is swamped with those long colorful portrait images with tons of stats and facts. There are many infographics doing the rounds in the cruise industry and a lot of them are really good. I came across one which teaches how to fold towel animals, no more going to a towel folding class onboard the ship! There are graphics with cruise ship information and tips from travel sites and even the cruise lines. One of the most recent ones released was an Ovation of the Seas infographics which you can see in one of our posts here. Pinterest really is the mother of inspiration. Just type in any search related to cruising or travel and your eyes will be fixed on the never-ending supply of lush colorful and vivid images, photos and even renderings. Travel is huge on the site so a search on cruises will also bring up breathtaking images of ports and destinations which you might be planning on visiting. If there is anything you like, it can be pinned to another board and shared on another site so even more people can enjoy too. The popular social site is a great place to find articles and features from around the web. 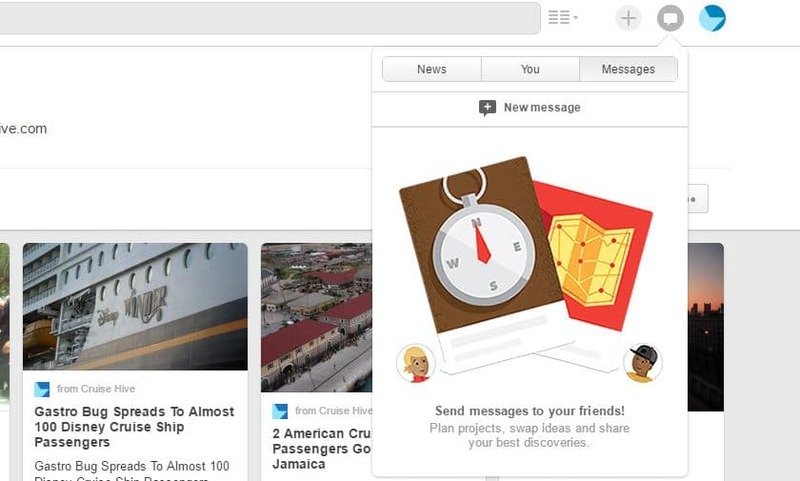 It’s not just a place to pin but also a place to keep track of the latest cruise news and lots of cruise advice. 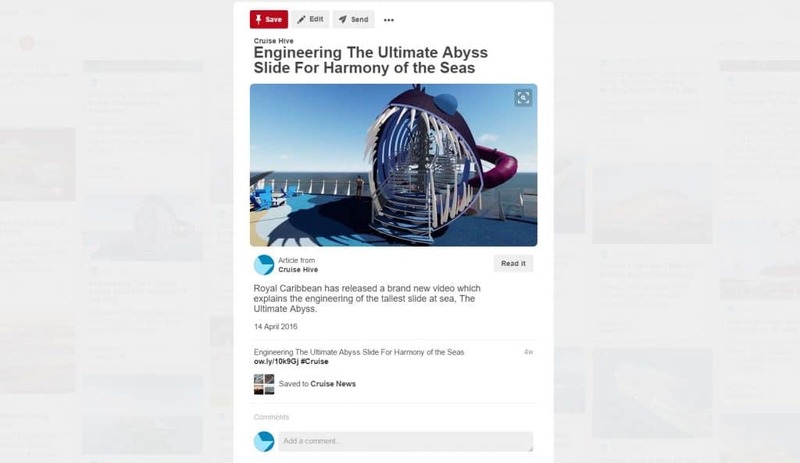 On Cruise Hive we’ll pin all our articles to the site so those searching cruises can also read our content. This a great way of not just sharing images but also information which could help those who are interested. Pinterest shows articles in a really nice way so it doesn’t distract from the experience of the never-ending flow of creativity imagery. 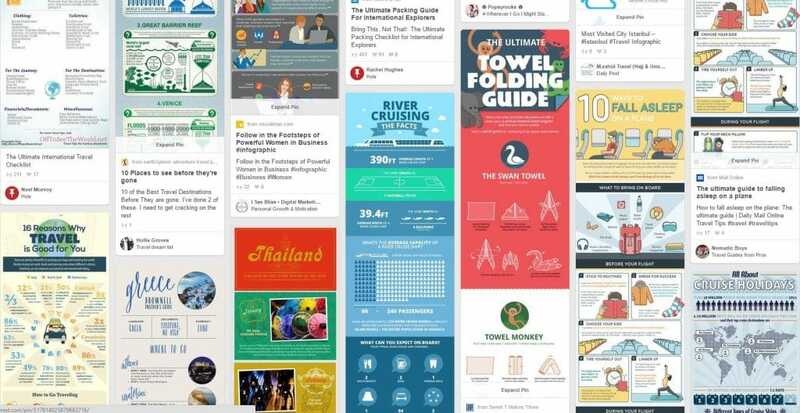 When you want to find experts in the cruise industry I’ll usually think of twitter or email when getting in touch but Pinterest is now a great place to communicate. We really should begin using this feature more as cruisers can ask for advice to those experts who know best. Search cruises, find the pinner, follow and then send them a message, it’s that simple. You can use Pinterest for other topics you love too. I’ve found it extremely useful and will often browse the site for work and when I have some free time. If you have anymore advice to help cruisers use the social networking site then feel free to post in the comments further below. Until next time keep on pinning and i’ll see you all on there.